Gaspar's Turkey Chourico 1 lb. 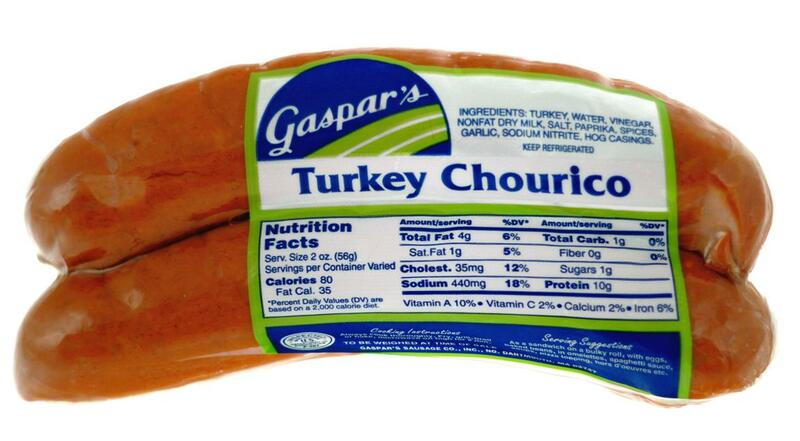 Home Gaspar's Chourico Products Gaspar's Turkey Chourico 1 lb. Turkey, water, vinegar, nonfat dry milk, salt, paprika, spices, garlic, sodium nitrite, hog casings.